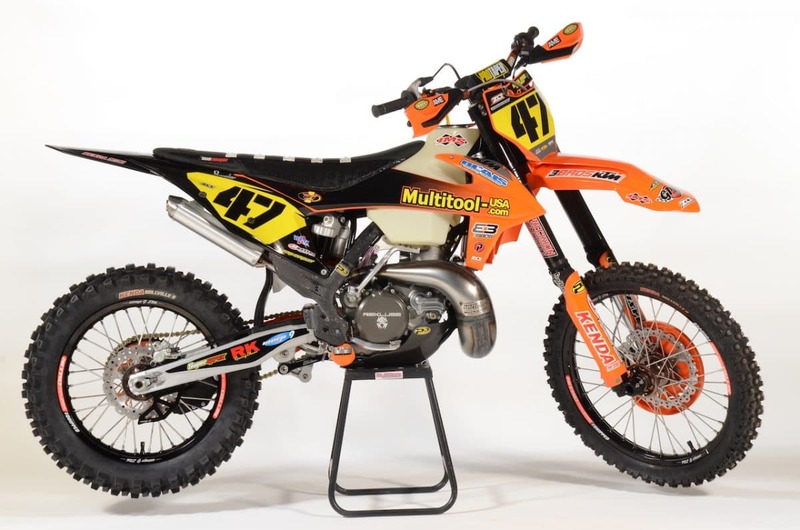 On this week’s Two-Stroke Tuesday we take quick look at our latest KTM 250SX off-road conversion built by test rider Troy Vanscourt and his crew. 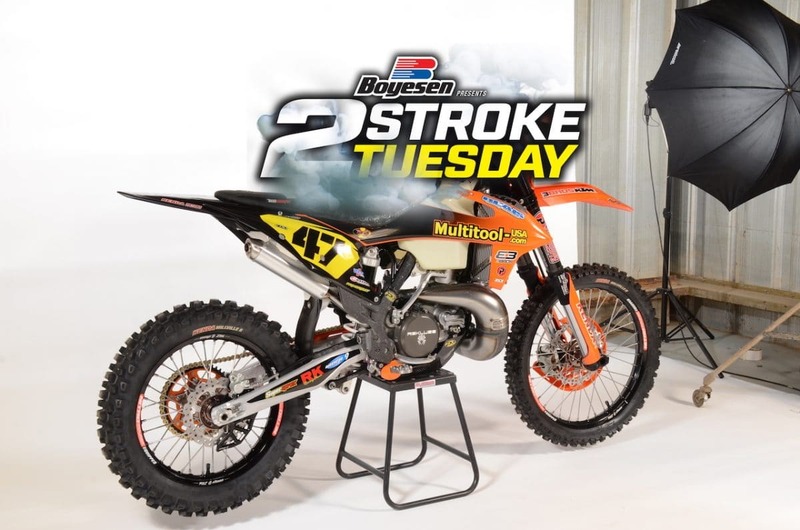 We packed 2-Stroke Theater with some premix burning rocket ships you don’t want to miss and there is an exclusive link to a one-of-a-kind speedway two-stroke at the bottom of this post that will blow your mind! This bike was built by Troy Vanscourt to race the WORCS and NGPS races in the Pro2 class on the west coast. 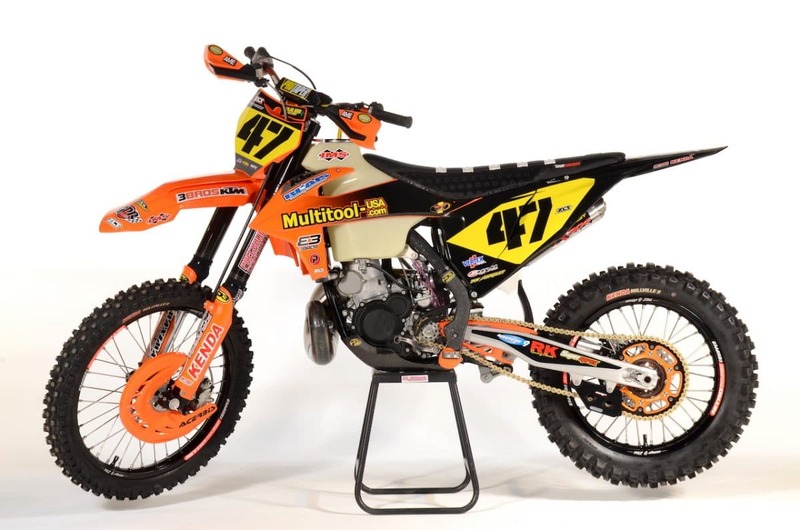 With the help of companies like IMS, Precision Concepts, GPR, Kenda, Supersprox, P3 Carbon, Maxima and Seat Concepts he was able to turn a motocross bike into an off-road ripper. 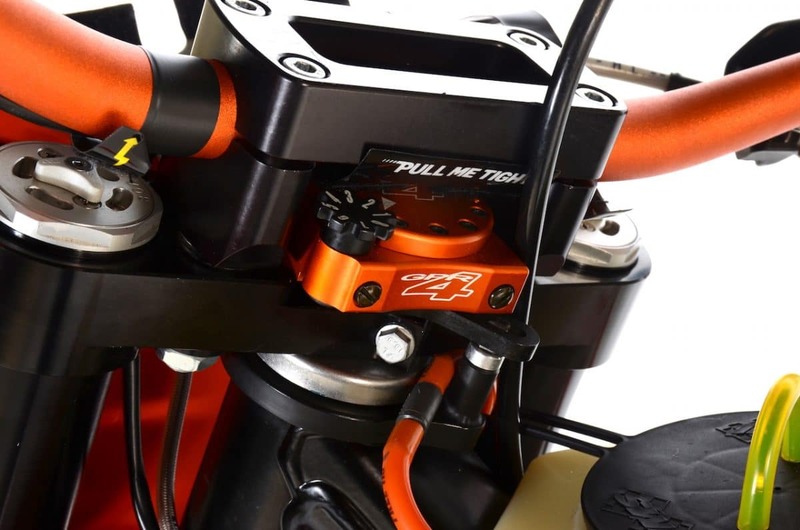 GPR Version 4 Pro Stabilizer kit comes complete with top triple clamp, bar mounts, frame mount and version 4 under the bar stabilizer. 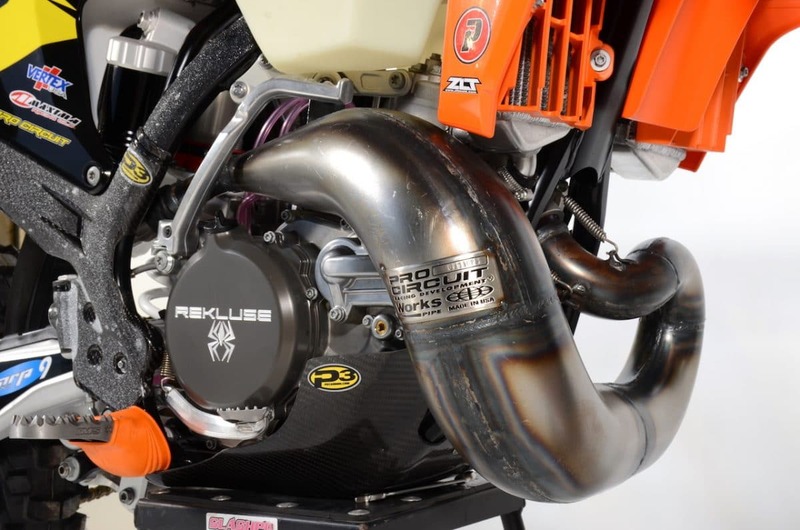 Pro Circuits original works pipe constructed of AKDQ stamped carbon steel was teamed with the very popular 304 Factory Sound silencer. We did this for its performance improvements and with its stainless-steel, aluminum construction durability is increased as well. 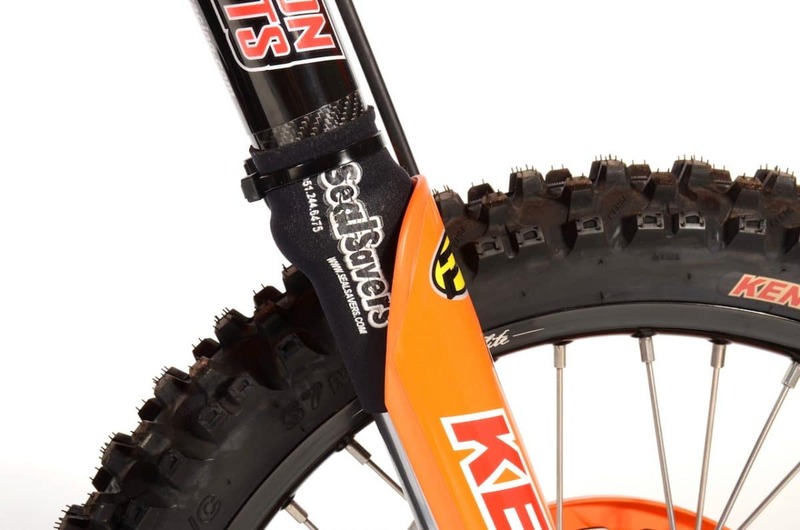 Seal Savers are made of Neoprene and designed to fit over your fork seals keeping debris away from the seals guarding them from being damaged causing oil or air to leak out. Blaise Racing ported and polished the cylinder for some additional performance without compromising durability . A V-Force reed cage was also added for some increased performance. 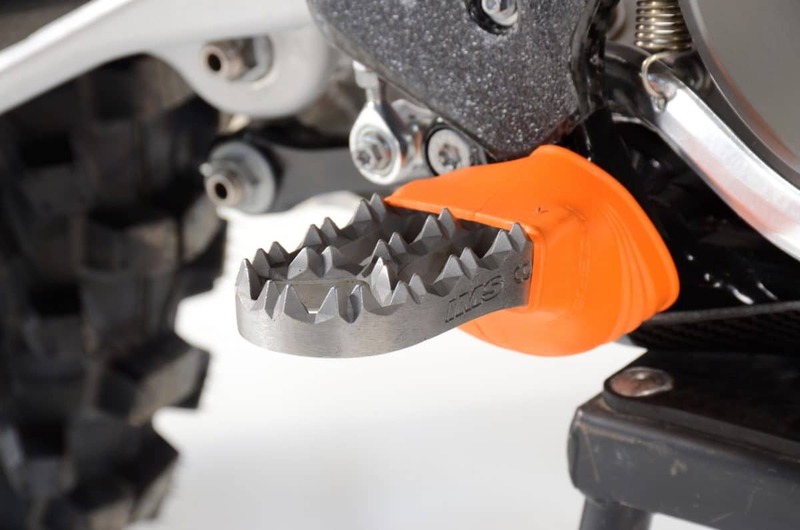 Traction for days! 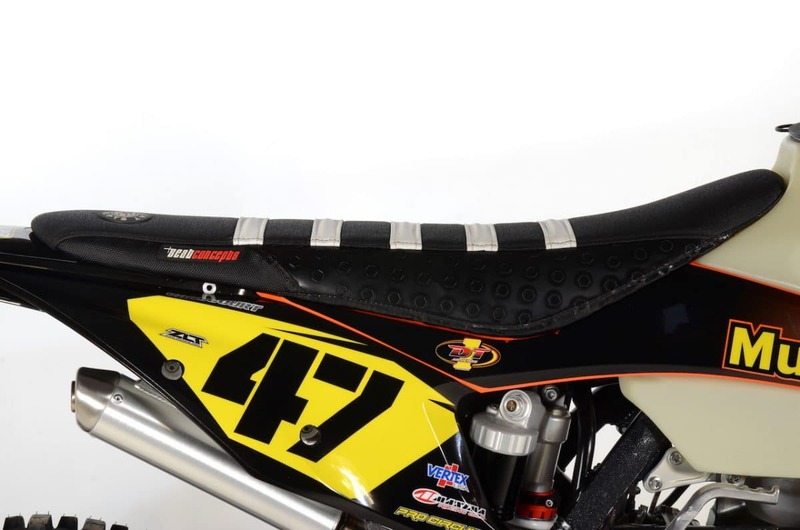 The Seat Concepts gripper seat over tons of grip without sacrificing your backside and when racing off-road comfort is a major key to success . Scott, Darren and the crew at ZLT designed a custom set of graphics for our off-road project that gave it some bling factor. There will be more on this bike in an upcoming issue of the printed magazine . Here is something a little different for all you 2-Stroke lovers! Click the image below for more on this custom speedway build !